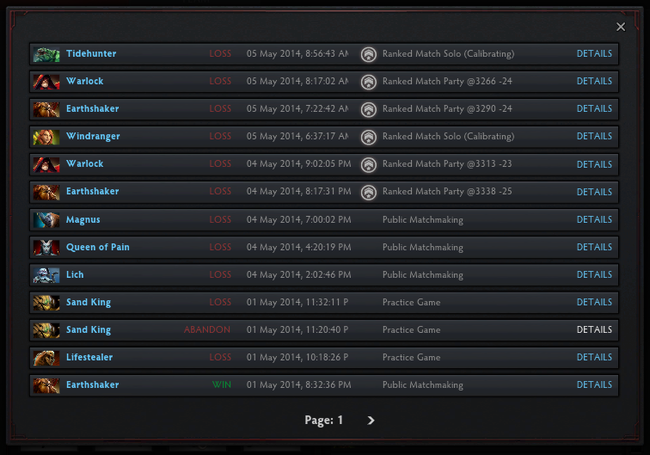 So I had this unlucky streak in Dota 2. 9 straight losses. Mostly because mid was feeding. Others because there’s this damn good player on the other team. So on the next game, I pulled out my Tinker. I’m average with Tinker. Maybe below average (13-14). But I didn’t want to lose because mid was feeding. So I chose a mid hero. But so did my other teammates: Pudge and Zeus. I didn’t want to argue so I just let Pudge go mid. He owned Invoker. At top lane, I was with Faceless Void and we owned Mirana and Bounty Hunter. They were losing big time. Bounty Hunter eventually disconnected. We were at mid bashing through the barracks to end my dry spell. A big sigh of relief. And then everything stopped. Auto-disconnection in 30s. Oh crap, internet problems perhaps. Checked my connection and it was all white bars. Maybe there was a glitch and I got disconnected for some reason? So I calmy reconnected. WTF. Screen showed Radiant base and disconnected players. But there was no scoreboard. Doesn’t seem like Dire creeps were jumping in joy as well. Our game session got trashed and wasn’t recorded. WTF.